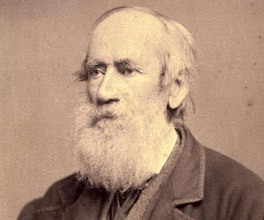 Robert Russell was a British surveyor, architect and artist who migrated to Australia in 1833. He was not an explorer, but his surveying expeditions took him to remote and dangerous areas of Gippsland. His personal diaries and drawings record the first European settlement of Gippsland. When the Gipps Land Company established a temporary settlement at Port Albert in 1843, Russell had the task of surveying the surrounding countryside, much of which was dense scrub. His work also took him to Wilson's Promontory, where he sketched a whaling station at Refuge Cove. There is no other record of this station, and Russell's observations precede the first recorded settlement of South Gippsland. Russell's work was sometimes risky. His writings make mention of a constant danger of attack from Aboriginals and snakes, as well as the dangers of travelling by sea in small vessels. This quote is taken from Russell's diary, which he probably never thought anyone would read. Diaries are great resources because they give an insight into what people really thought about events as they were happening. Russell makes an interesting point about McMillan exploring Gippsland before Strzelecki – decades before this became a controversial issue – as well as recording an incident in which Aborigines kill five white men. Port Phillip Herald, 14 November 1843. Descriptive words can show what a writer is thinking. Russell's use of the word ‘murderous' to describe the settlers' treatment of Aborigines clearly shows how he felt about the topic. Russell's observations not only record the first European settlement in Gippsland, but also present a different mentality to that of most European settlers of the time. The first settlement at Sullivan Bay wasn't a success, with convicts and settlers alike struggling to stay alive.